The vision of uDreamed is to enable people around the world to tap the power of the unconscious mind to realize their full potential and improve their quality of life. The company's core service offerings include a mobile application and a website that allow users to record, associate, analyze, match and share their unconscious experiences (such as dreams) and consult professionals to gain unique insights. Dreams are only one type of unconscious experience, but have you ever wondered “what does my dream mean” – or wanted dream interpretation or to learn about various symbolic dream meanings? Our service provides critical analytics, such as dream analysis, so that you can better leverage the power of your subconscious mind. All of us possess powerful unconscious traits, emotions, memories, desires, motivations, inspirations, defenses and bias we are unaware of. These "hidden" processes operate outside of our awareness and control much of who we are, influencing our daily decisions, mood, behavior, preferences, perspectives, and interpretation of events. Accessing and harnessing the contents of the unconscious mind presents tremendous opportunity for individuals, society and organizations. Our free service unlocks the power of the unconscious mind, opening up new possibilities for self-development, creativity, innovative problem-solving, and discovering new ways of living and adapting to a changing world. Record: record detailed content and full descriptions of your unconscious experiences in your personal experience bank. Associate: find connections between your conscious and unconscious experiences. Analyze: analyze, compare, and discover trends in recorded experiences from your own experience bank, your friends (anonymized) and the globe. Match: discover who is having similar unconscious experiences and how many similar experiences are occurring all over the globe. Share: share your unconscious experiences with whomever you choose. Others can also share with you and you can comment on each other's experiences. Network: connect with friends and create groups around similar interests and experiences. Consult: consult with licensed practitioners about your unconscious experiences in order to discover more about yourself or receive therapy. Develop: discover more about what your unconscious experiences (e.g., dreams) mean, ask questions in the forum, and see frequently asked questions. Shop: find products to help you navigate, facilitate and augment your unconscious experiences. Chris is the founder of uDreamed. Getting access to and understanding his own unconscious experiences has always been one of his ambitions. Chris brings over 5 years of entrepreneurial experience. He holds an AB in Economics from Harvard. He won the prestigious Founder Excellence Prize awarded by the Technology and Entrepreneurship Center at Harvard in the 2018 Harvard College Innovation Challenge. James is responsible for product design and user experience. He brings over 10 years of product design, gamification and analytics experience. He is a serial inventor of digital products, including analytic tools and games with a large online presence. He holds a BSc and MSc in Information Systems from Brigham Young University and a Ph.D. in Information Systems Management from Case Western Reserve University. Tom is responsible for engineering and technology, including software and hardware engineering, analytics, and execution. 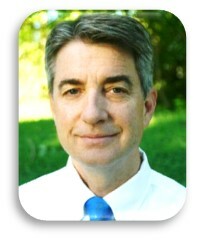 Tom brings over 30 years of technology innovation and software development as an entrepreneur, investor and corporate executive.Tom holds a BSc in Computer Science from the University of Illinois – Urbana Champaign. Nnaoke is responsible for the day-to-day general management of the firm. He brings over 30 years of managerial and operational experience as a serial entrepreneur, investor, engineer, and management and technology consultant. He has started and invested in several successful ventures. He holds a B.Eng. Electrical/Electronic Engineering, (first class, Honors) from the University of Nigeria, MBA from Harvard Business School and Ph.D. in Management (Designing Sustainable Systems) from Case Western Reserve University. As advisor, Jennifer brings over 25 years of deep expertise in the area of Analytics and Data Science as an academic, consultant and corporate executive. She received a BS in Economics from Georgia Tech, MBA from The Smeal College of Business at Pennsylvania State University and Ph.D. in Decision Science from Georgia State University. As neuropsychology advisor, Tom brings over 25 years of experience in the areas of clinical psychology and neuropsychology as a practitioner and advisor in military, consulting, and private venues. He received his BS in Civil Engineering from the Massachusetts Institute of Technology, Ph.D. in Clinical Psychology from Brigham Young University, and post-doctoral fellowship training in Pediatric Neuropsychology from Harvard Medical School. Sandeep is a first generation entrepreneur and computer engineer by qualification. With more than 18 years in the information and communication technology industry, he brings extensive experience in design/IT/mobile apps and cloud technology. Sandeep leverages technologies and platforms that enable and transform operational aspects of uDreamed.